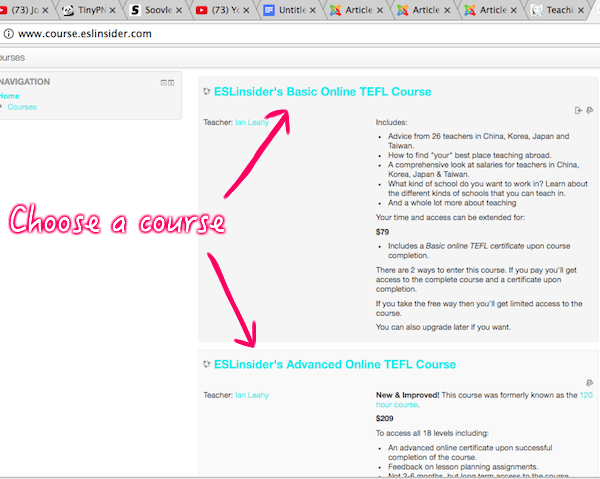 How do you log in to your online TEFL course? Different courses may have a slightly different process of signing up and logging into the site. 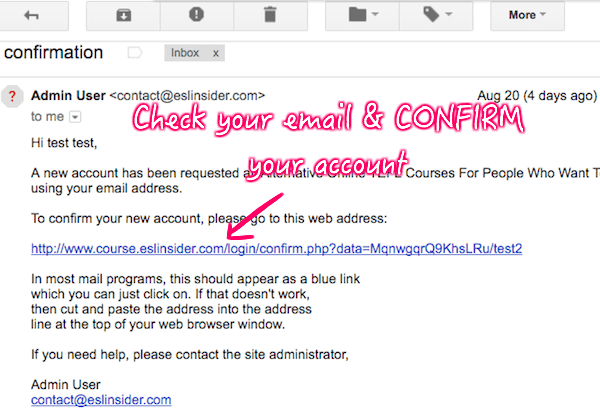 This post will break down the steps of a successful log in to ESLinsider's courses. There are several courses to choose from. 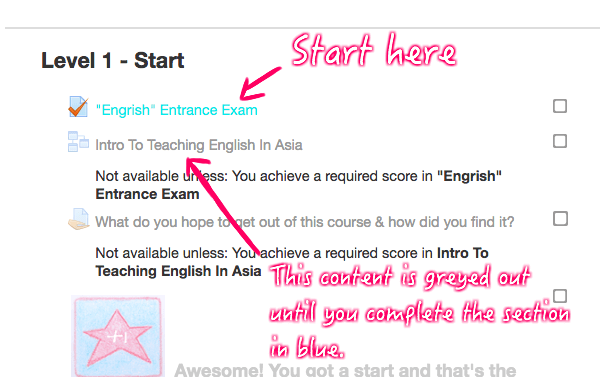 So go to the home page and choose a course by clicking on the course title in blue. After you do that you will be redirected to the log in page. 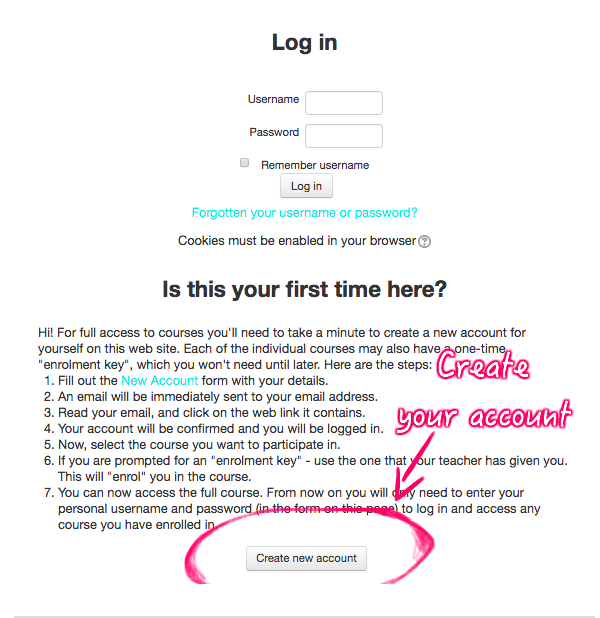 After you choose your course you can create your account by going to this log in page. On that page scroll down and click the "Create new account" button. After you create the new account button you will be brought to a page that requires that you create a password and a username. Then you will add your email. Don't worry it's not sold. It stays with ESLinsider and it's only used in the course and for occasional blog or site developments. 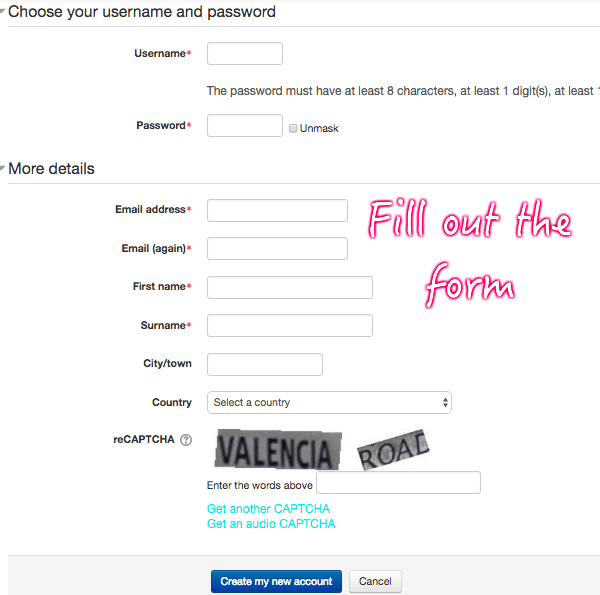 After you add that then include your full name (that will be printed on your certificate) and the recaptcha field. Then click "Create my new account". You should get an email that includes a link to click on to confirm your account. If you can't click on the link then copy and paste it into the browser field and hit enter. If you don't see an email in your inbox then check your junkmail. The confirmation link should log you in and take you back to the website where you enrol in the course. 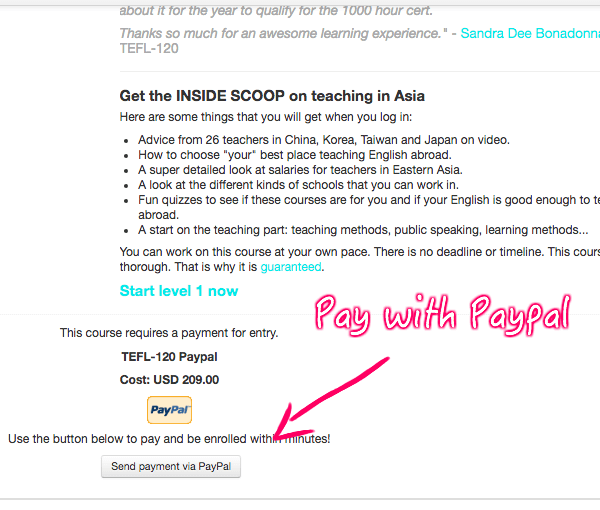 If you chose a course that requires payment then you can do so via Paypal on the bottom. Now you have completed all of the necessary steps of logging in and creating an account. You should be able to begin your course now if you have any questions you can send an email to contact@eslinsider.com. What is online TEFL course content like?